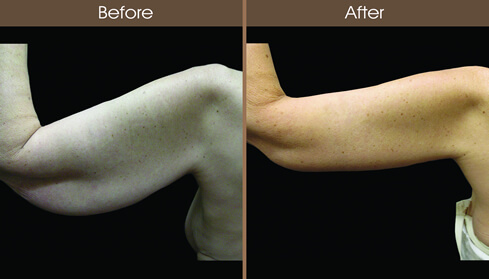 56 year old female 5'5" weighing 145 pounds developed laxity and loose skin along her upper arms after losing 120 pounds through a combination of a gastric band, improved diet, and increased excercise. 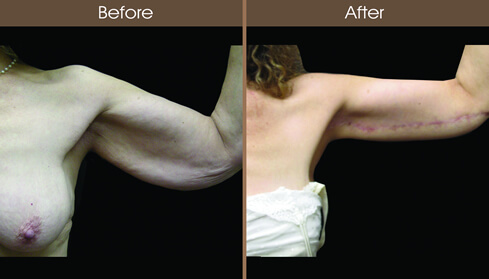 She underwent a bilateral brachioplasty with extended L brachioplasty along the lateral chest wall and suction assisted lipectomy with improved contour and shape. In addition, her ability to fit into clothing, excercise and live an active lifestyle was improved after surgery.